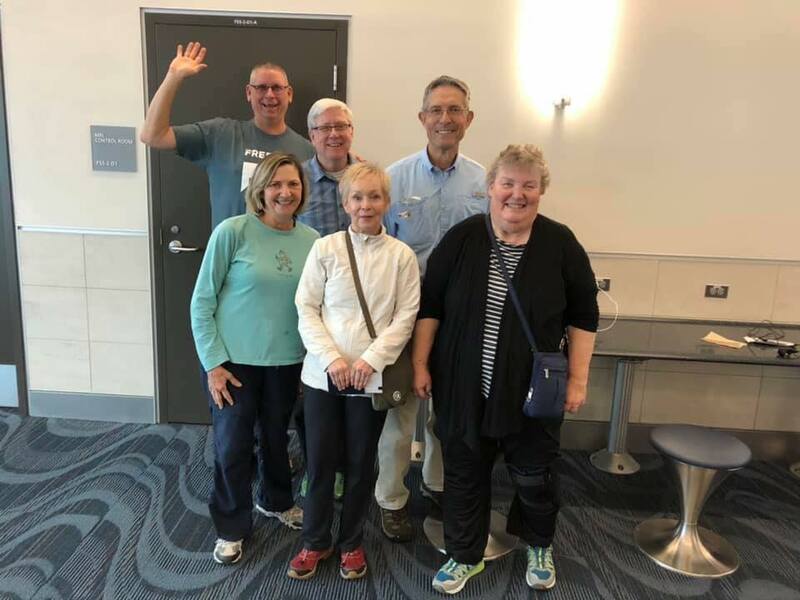 Karren and Roger Crowson and Jane Moore were part of a mission team to Sobier, Haiti January 18-24, 2019. Sobier is a small village located about three hours southwest of Port-au-Prince between Petit Goave and Miragoane. Monte Sano United Methodist Church has worked in Sobier, Haiti since 2013. We did a wants/needs assessment on our initial trip in 2013 and have been working with the community to help meet some of the needs. This trip was a joint effort between Monte Sano UMC and Anniston First UMC. Participated in a worship service with Sobier Haitian Methodist Church members. Built three chicken houses and furnished each with nine hens and a rooster. Funds for this project were provided by Anniston First UMC. Provided a two-day medical clinic. We hired a Haitian nurse to work along side our healthcare team and saw 150 patients. Distributed 60 pairs of reading classes. Taught a follow-up class for the five Haitians that completed the advanced first aid class we taught last year. Taught a public health class for community leaders explaining the importance of hand washing and how to make a hand washing station, eliminating trash that can become mosquito habitats and keeping animal waste out of pathways. Taught a sewing class for 14 women on how to use a pattern and provided sewing kits. Met with the six goat farmers that had gifted a baby goat to another farmer. Each of these farmers was given a small solar light that is also capable of charging a cell phone. Left numerous pairs of boys shorts to be distributed by church leaders. Left 24 UMCOR birthing kits for the midwives. Most importantly we renewed some old friendships and made some new friends. We prayed together, we worked together, we learned together and we played UNO together. Please contact Karren Crowson (Karren.crowson@gmail.com) if you are interested in serving on a future mission team. In March, 2013 Dale Clem, previous pastor of MSUMC and Karren Crowson, chair of MSUMC were working on a mission team in Haiti lead by a group from New Hampshire. The staff at the Methodist guesthouse where they were staying told Dale and Karren about the impoverished village of Sobier, a remote community of approximately 5000 people located three hours west of Port-au-Prince, Haiti. On their last full day in Haiti, staff members took them to Sobier to decide the feasibility of bringing a team to the area. The two mile road off the paved highway could only be accessed by 4-wheel drive. There was not a building to house a team on site. There was no power and water was scarce. Several of the children were severely malnourished. In the Monte Sano spirit they said “sure we can bring a team”. In June, 2013 a mission team from Monte Sano United Methodist church traveled to Sobier, Haiti to do a needs/wants assessment of the community. The objective of the assessment was to listen to the villagers’ wants and needs, determine the accessibility of water, evaluate health needs, and assess opportunities for school, agriculture, livestock and possible cottage industries with the aim of identifying projects for sustainable development. Based on the report the MSUMC mission committee made a five year commitment to partner with Sobier. If you are interested in reading the complete report, it is located on the church website under missions. April, 2014 our MSUMC team broke ground on a multipurpose/clinic building. Several mission teams from across the U.S. along with our team continued to work on the building until its completion in April of this year. Our team hired a Haitian agriculturist, Gontran Delgrace, in 2014 to assess possible sustainable development projects and provide ongoing management of them. He proposed a goat project. Church members and friends of MSUMC provided funds for 16 female goats and one male goat during our Do You Want to Buy a Goat campaign. The project requires each farmer to give one offspring to another farmer. Also, Gontran is the project manager for the chicken project started in Sobier by Dale Clem’s team from Anniston First Methodist. Another team from Minnesota that has experience with micro-loans is working with UMCOR to start a program for some of the women and men in Sobier who are starting small businesses. You will enjoy reading Gontran’s report of the progress in Sobier. (See Gontran’s Report). Additional services provided by the MSUMC mission teams to Sobier include wound clinics, Zika training, installation of solar lights, UMCOR birthing kits for the midwife and community meals.